FREE SHIPPING within Malaysia for orders MYR 100 and above! Light tobacco, HIGH VG LOTS﻿ of vapours! Kiddy bubble gums, veeery tasty! Grape Blackcurrant special mix. If you like Graple flavour, you should like this as well ! ﻿﻿﻿Lychee Blackcurrant special mix﻿﻿﻿, feels like drinking fruit beverage while sailing on ocean ! 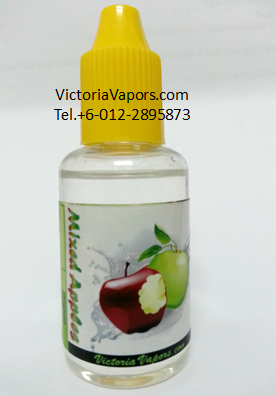 Honeydew Blackcurrant special mix for your daily vape. Smooth, easily accepted by most vapers. Philipine mango + fresh orange special mix. Suitable to vape after a meal. HIGH VG, LOTS OF VAPORS. Not suitable for plastic tanks. Smooth & juicy red apple! HIGH VG, LOTS of vapors! Aromatic honeydew / melon taste! Taste like green Hudson sweet candy or Solero. Reminds you having good time at cafe. Taste like Red Bull energy drink! Taste like A&W Root Beer Sarsaparilla ! Taste like lemon Eno, Sprite, or 7up ! Classic malaysian milk syrup soft drink. Polo Ice candy taste, sweet, fresh & cold your nose, mouth, and throat!